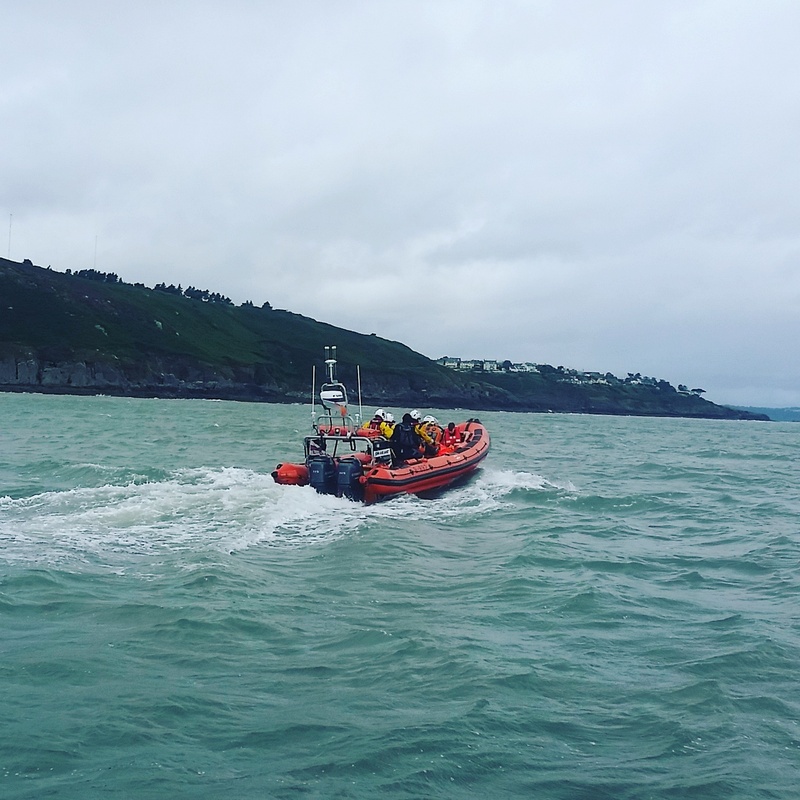 On Saturday August 20th Crosshaven Lifeboat were tasked by Valentia Coastguard to a report of three kayakers in trouble in heavy seas off Ringabella. The Coast Guard issued a PAN PAN call for any vessels in the vicinity to help. The angling boats “John Boy” and “Cuan Ban” responded. 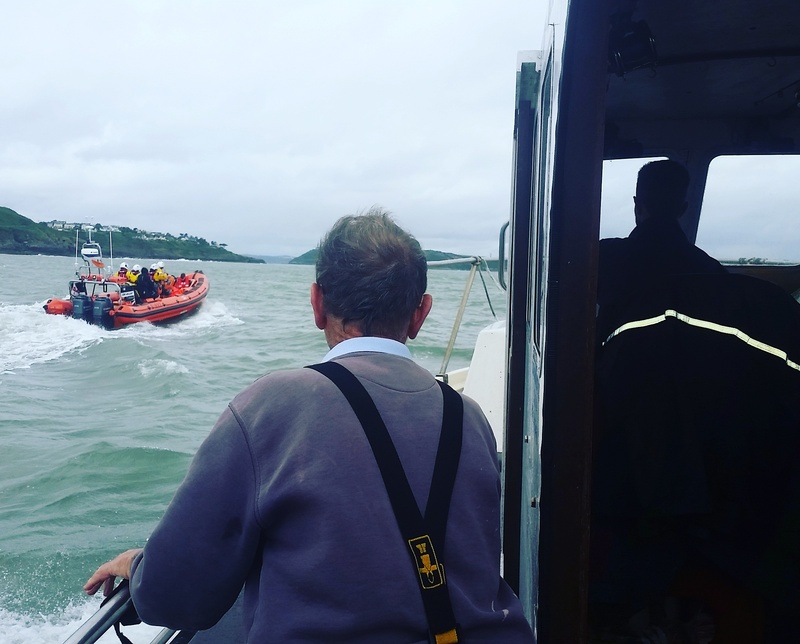 A group from the National Maritime College of Ireland were onboard the Cuan Ban at the time on their annual fishing trip and together with their skipper, John Barry, helped bring the kayaker onboard to safety. The crew of the “John Boy” recovered the remaining two kayakers, one of whom was in the water having earlier capsized. All three were then transferred onto the “John & Janet” lifeboat to be treated back at the Crosshaven RNLI station. Thankfully although cold and shocked all three were uninjured. 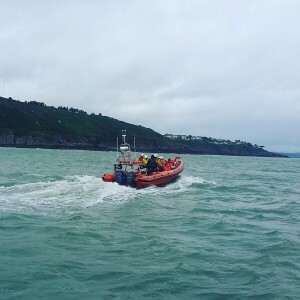 This incident highlights the importance of remaining safe while on the water and that all water activities require some basic knowledge and skills, such as knowing that under Irish law you are required to always wear a lifejacket or buoyancy aid when canoeing. Other important information includes knowing the tides, anticipating bad weather conditions and having an emergency plan of action in place. We strongly advise all those who take part in watersports at sea to visit this page of Safety on Water and to download their safety booklet http://www.safetyonthewater.ie/booklets/Paddlesports for further information. To read more about the Crosshaven RNLI visit https://crosshavenlifeboat.org/ and visit http://www.respectthewater.com/ to learn more about the Respect the Water campaign.